Dr. Zaghi provides specialty Endodontic care to patients requiring root canal treatment and Oral Microsurgery. She is skilled at all root canal procedures including basic root canal treatment to the most difficult root canal re-treatment cases for adults and children. Additionally, Dr. Zaghi is skilled at the most delicate microsurgery treatments of the root. She completed her Dental and Endodontic studies at UCSF where she researched studies investigating pain management and response of teeth to different stimuli. Dr. Zaghi has a long list of awards and affiliations. 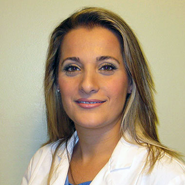 She is dedicated to providing the highest standard of care for her patients. Dr. Zaghi has lived in the Bay Area for more than 40 years and practicing as dentistry since 2006. She is married and has 2 children. Major Clinical Research Study of post-Menopausal Women and their Health in Areas of Diet, Hormones, and Calcium/Vitamin D Intake. Women's Health Initiative. National Institute of Health.